The 750-hectare (1850-acre) Sečovlje Nature Park will shrink after the government issues a new decree changing the course of the border, said Klavdij Godnič, the head of the Sečovlje Salt Pans. G. C.; translated by D. V.
The Slovenian government recently passed a series of measures to implement the arbitration ruling on the border between Slovenia and Croatia. The ruling was delivered by an international tribunal in June 2017. “The Sečovlje Nature Park will shrink from 750 to 702 hectares, i.e. around 7 percent. That’s the entire left bank of the Dragonja river,” Godnič told Radio Koper, adding that the wetlands will now become part of Croatia. “The wetlands and the entire Sečovlje Nature Park are listed under the Ramsar Convention and are part of the Natura 2000 network. 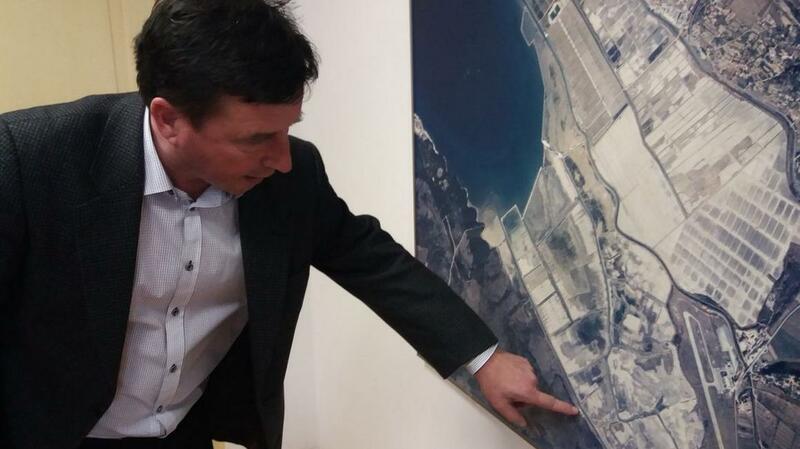 We conduct environmental monitoring activities there,” said Godnič, adding that he doesn’t know what Croatia plans to do with the newly-awarded land. However, he did say that a few years ago Croatia revealed plans to build a water park in the area. The Sečovlje Salt Pans could also face changes. The chair of the Slovenia Sovereign Holding (SSH), Lidia Glavina, recently said that Istrabenz Turizem could take over management of the Lepa Vida – Thalasso Spa at the Sečovlje Salt Pans. However, the Spa would still be owned by the Sečovlje Salt Pans, and the decision is not final yet.